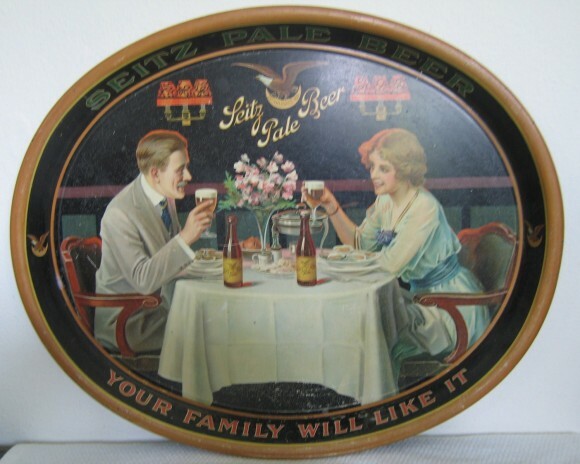 Serving Tray for Seitz Pale Beer showing a couple dinning and drinking the company’s lager. Text at the bottom states “Your Family Will Like It.” Along the lower edge of the tray (under the tablecloth), in tiny print, it says “CHAS. W. SHONK CO. LITHO. CHICAGO” followed by what appears to be “N2 M573”.